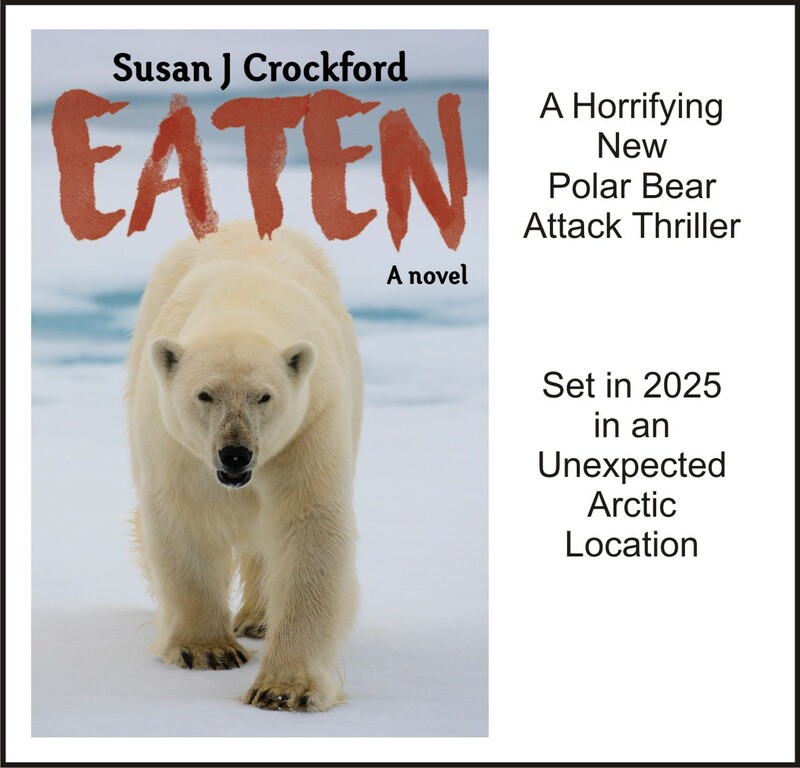 Posted on November 14, 2015 | Comments Off on EATEN – My first novel, coming soon! They’ve used computer models to predict polar bear responses to computer predicted sea ice conditions 25-90 years into the future and insist their prophecies will become reality unless human behaviour changes. They like to call their “what-if” science. I decided to play too – except I call my “what-if” a novel. Perfect for people who never read science books and everyone who likes a good story. Coming soon in Paperback , Kindle, and ePub formats! Comments Off on EATEN – My first novel, coming soon!